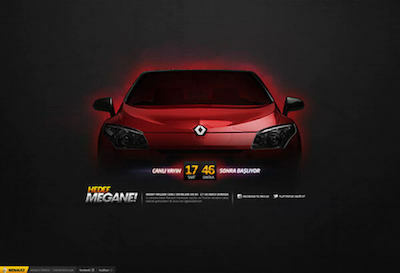 I won the "Solo Winner" Node Knockout 2015 award with this project. 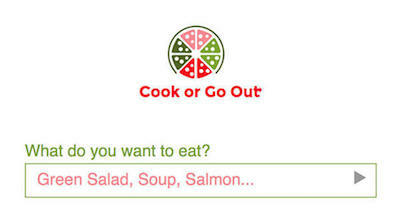 This single page application helps you choose whether to Cook at home or Eat out. 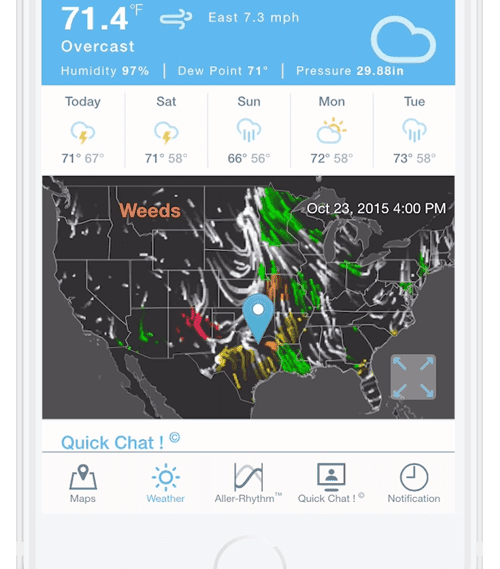 KagenAir™ is the first and only app in the world that shows you how the weather and your environment affect your health. 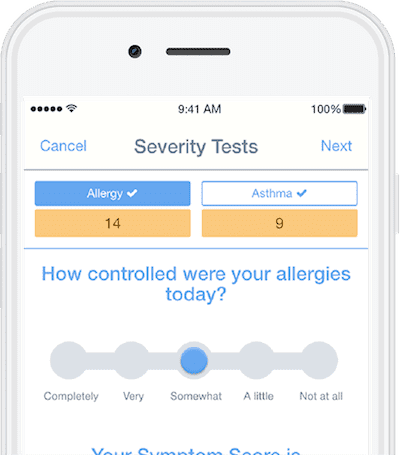 It is done as a hybrid mobile application using Cordova and Angular.js for front end. I worked on US weather data parsers, map drawings with D3.js, UI development on front-end and performance optimizations on both ends. Expresscion is an open, cloud-friendly SCXML orchestration server. It is designed as an Express middleware to create State Machines as a Service (SMaaS) REST API protocol. It has a portal to manage your State Machine instances. Has a cool UI to represent each state. 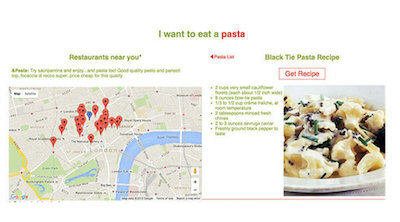 GigBug is a mobile event discovery application for London. I created a Native iOS application with Objective-C for iPhones. An Express.js REST API on top of Node.js is powering everything. 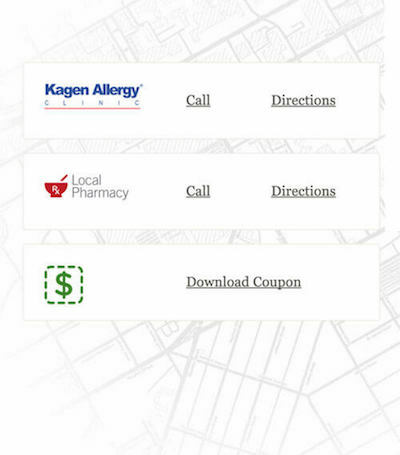 There are multiple automated data parsers and image tools to manage everything. Social Currency is a kiosk installation that reads your businesscard and calculates your social value by looking at your online presence. Project was using an arduino, a card reader and all possible social media API's. 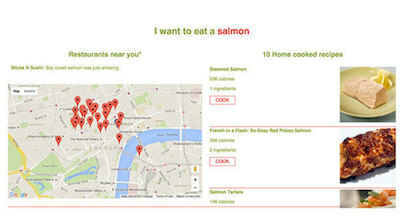 Search results ranks were then aggregated with a formula to balance importance of platforms like Google. World coverage is a 24 hour long automated project to celebrate New Year every hour. Automated application was made with a cron-job to change Facebook Cover Photo every hour with country names in that time zone. Eye of the Fan - London! Because of the economic conditions, most of the devoted fans couldn't make it to the Final Four Weekend. 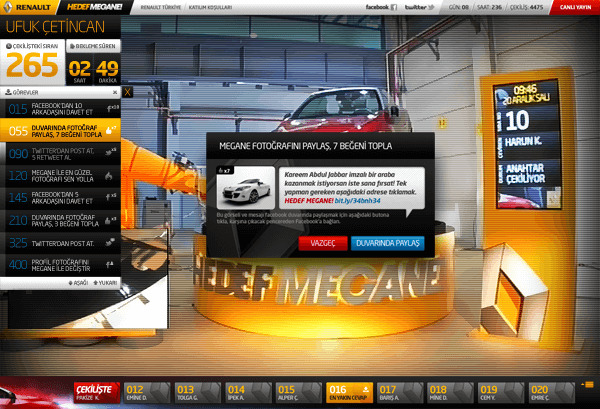 With the sponsorship of Turkish Airlines we made a realtime streaming feed. 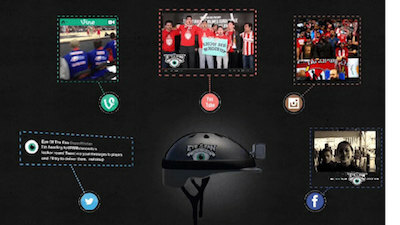 'The Fan' wore a helmet cam and went to games, met with players while we gathered the content from all possible social media platforms. We celebrate Novruz, we celebrate life! 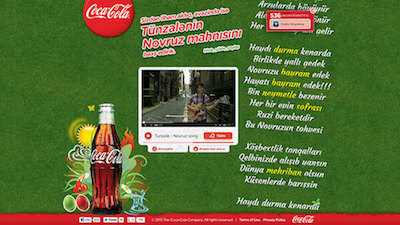 Novruz project is an online collaboration platform for Azerbaijani people to create their new national song. 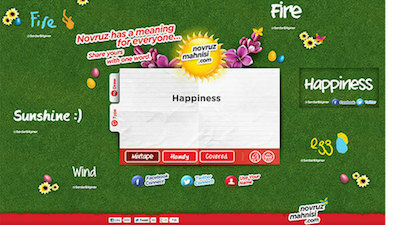 Made with HTML5 canvas, people can draw and write what Novruz means to them. 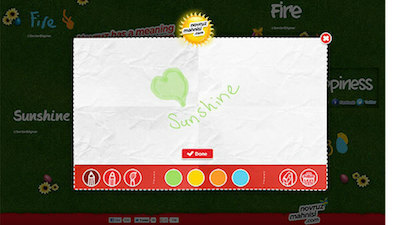 All the meanings gathered to become website background with infinite scrolling. Build & Manage is a Real-time Strategy Advergame. Players can create a company and run it with great detail. 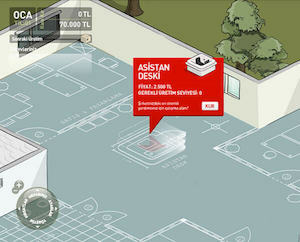 Game has departments, employees, production line, economy, reports, salaries and bank credits. I know! 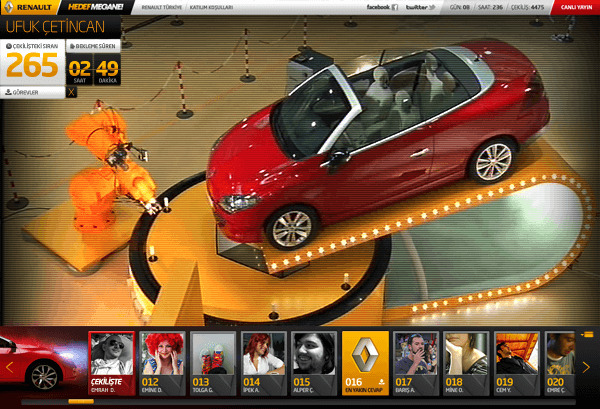 is a quiz game where players can compete with each other on various categories. This game was so popular, 12 other countries adopted it. MSN had total of over 50 million page views. Congratz! You are the first person to come this far. Do you love me or something?